There are many phenomena outside the planet that people are very curious about, and one of these phenomena happens to be a black hole. A black hole is a region of space that possesses a very strong gravitational force that nothing, not even subatomic particles and electromagnetic radiation such as light can escape it. 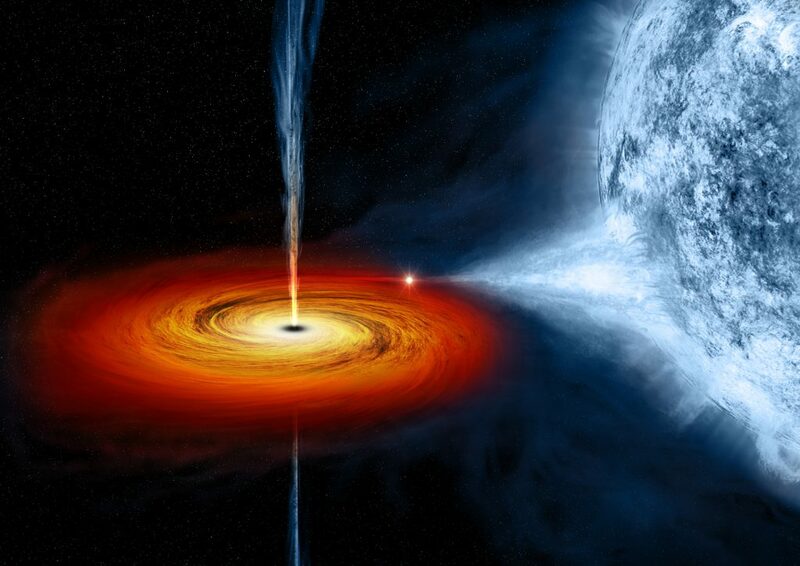 Such phenomena may sound fictional but a black hole is something that exists and is far more frightening than fiction. For the first time, scientists have finally revealed a picture of what appears to be a black hole that is in the center of the universe. Harvard Professor and Assistant Director for Black Hole Observation Sheperd Doeleman states, “We have seen what we thought was unseeable,” during a press conference at Washington D.C’s National Press Club. In layman’s terms, it is a huge monster, and the scientists have described it as such. As seen in the image, there are what appears to be some orange-reddish light that is surrounding the black hole. That visible orange-reddish light around it is said to be materials that are being destroyed by the black hole’s gravitational pull as well as light particles being pulled into the center, which is the Event Horizon, a region in space in which the gravitational pull of a very large object, such as a black hole, is so powerful that it makes escape impossible. How was the picture taken? 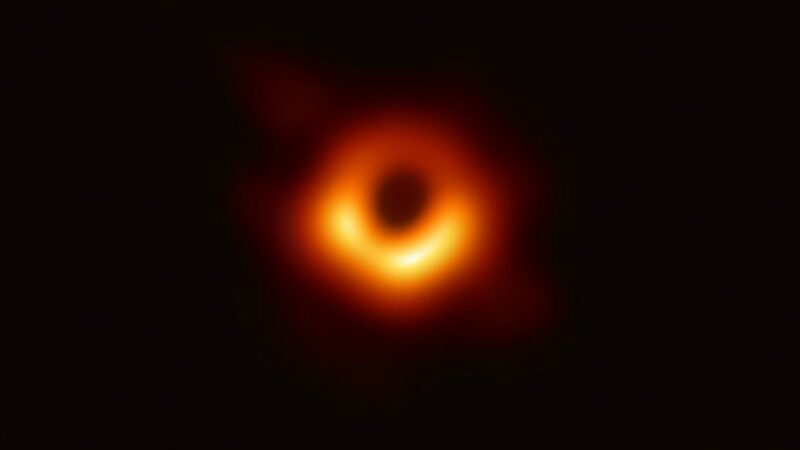 The very image of the M87 Black Hole that is being shared across all social media and the general public was due to the efforts the Event Horizon Telescope (EHT) Project. The Event Horizon Telescope is a network of several radio telescope facilities located around the world in order to make a high resolution telescope. The EHT is a project that has been conducted for years in order to study space phenomena such as black holes. More information about the Event Horizon Telescope project can be read here. It is of no doubt that the discovery and the reveal of the M87 Black hole is not just a scientific breakthrough for astronomy but it also answers many of the theories and questions raised from Albert Einstein’s Theory of Relativity, which predicts the formation of black holes. This discovery provides an answer that was theorised more than a hundred years ago. This scientific breakthrough not only proves the existence of such anomaly but it also shows the success of years and years of study and research in the field of astronomy. Much like any scientific discovery, there are still more questions that will be asked which will lead to further study and research about the M87 Black hole, as well as the study of black holes in general. There are still more questions that the general public as well as other members of the scientific community will ask such as the actual connection of black holes to theories of relativity and quantum physics. Other questions may include the feasibility of more space telescopes to be produced. The EHT team did admit that their study of the M87 black hole is not yet complete. They stated that their new challenge is measuring the exact density of the matter that is surrounding the black hole, as well as to have a better understanding of magnetic fields. We congratulate the Event Horizon Telescope team with their discovery and we wish them luck with their further studies with the Black Hole.